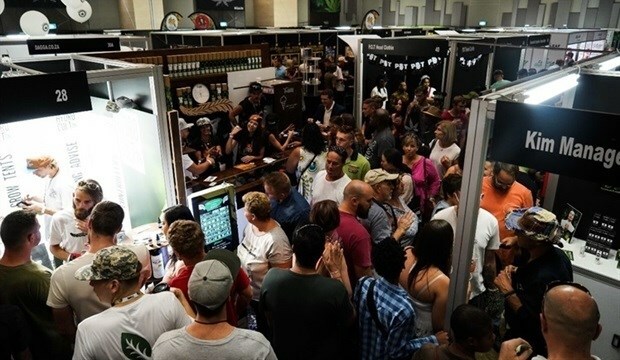 The Cannabis Expo, a trade and consumer exhibition dedicated to the cannabis industry, is set be held at Sun Exhibits at GrandWest in Cape Town from 4 to 7 April. Headlined by multinational healthcare group, Go Life International, the Cape Town event follows the official launch of The Cannabis Expo in Pretoria last year. According to the organisers, this is the largest exhibition of its kind on the African continent, and due to a number of reasons – including SA's liberal laws, geographic climate, population demographics, and the wide array of cultures – the country is "expected to become one of the largest cannabis industry marketplaces in the world". The Cannabis Expo Cape Town includes an exhibitor hall, networking and entertainment spaces. It also features as a convention stage and workshop hosting local and international experts from across the industry every half-hour throughout the expo. With a variety of cannabis-related products and services already legally on the market, the event hosts businesses and professionals from all sectors of the industry: healthcare, medicinal, growing, harvesting and processing technologies, product retailers and innovators, legislation groups and government departments. “The opportunities within the industry are endless, however up until now; there hasn’t been a central place for cannabis-related products to be marketed, and for education and information around cannabis to be shared. The Cannabis Expo provides a perfect platform and opportunity for businesses and interested parties within the industry,” expo director, Silas Howarth. The Cape Town event is over twice the size of the inaugural event and is expected to draw record crowds, states event organisers.